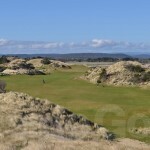 Since it opened in 2004, Barnbougle Dunes has very quickly been rated by many as among the great golf courses of the world. 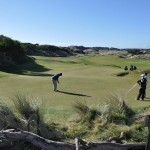 With the opening in 2010 of its sister course, The Lost Farm, the facility has become an essential golfing destination for every golf tragic. 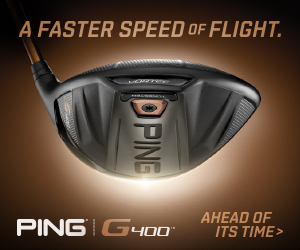 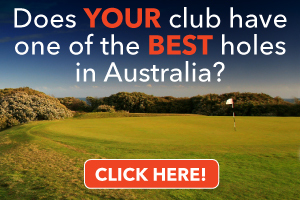 Like many golfers, I have been intrigued to find out for myself what all the fuss is about. 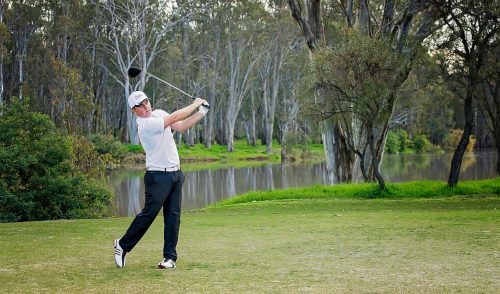 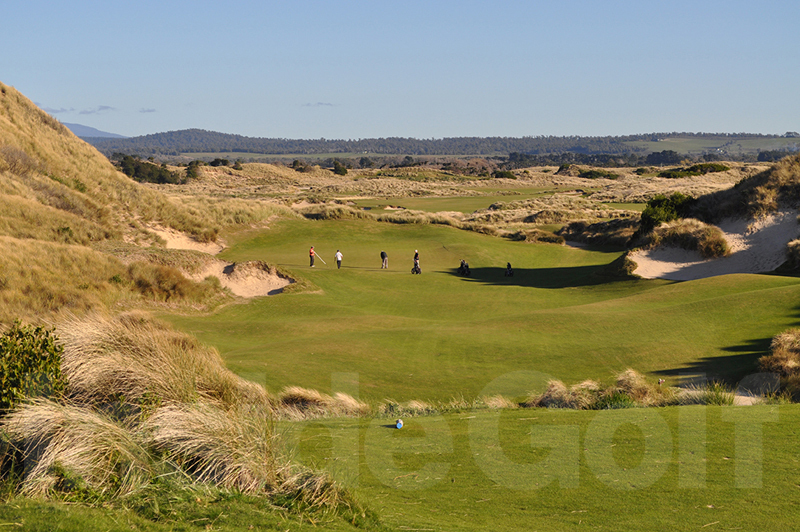 One evening at a golf course somewhere, a plan was hatched among a group of mates to tackle this great Australian golfing odyssey together. 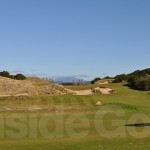 As we chatted, the speculation commenced on which is the better course. 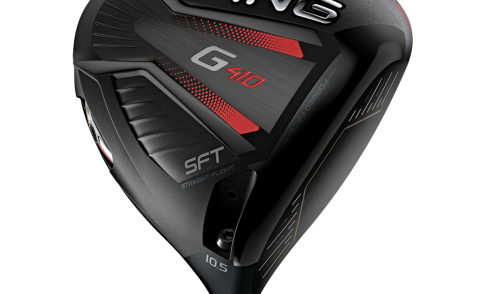 I decided that I was not going to compare them. 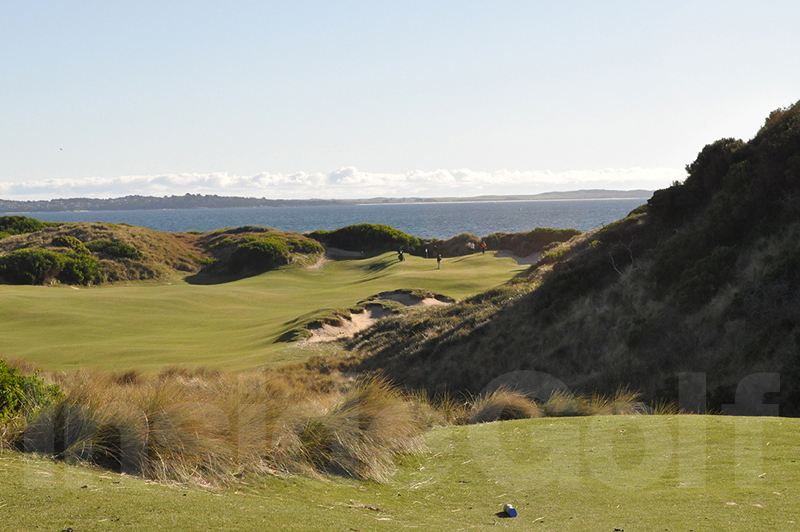 My goal was to simply enjoy the indulgence of playing these two superb sister courses. 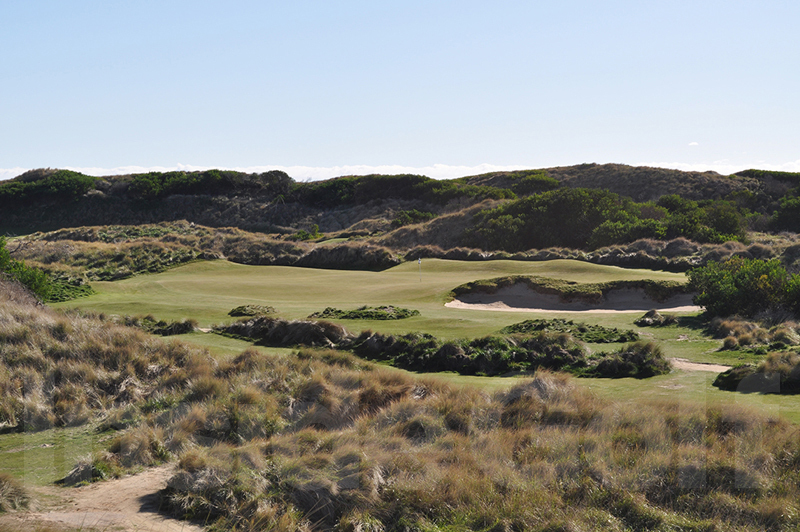 After a few colourful planning sessions, we decided on 54 holes over three days with two rounds at Barnbougle Dunes and one at The Lost Farm. 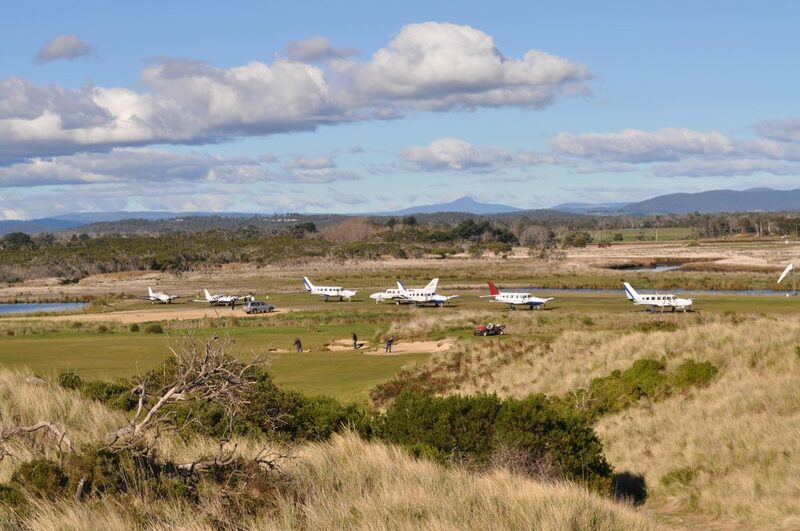 To make the time to play three rounds, we decided to take the deluxe option and fly directly to the courses on private charter planes. 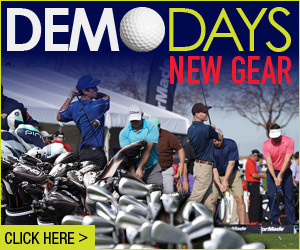 When the day finally arrived, the excitement was palpable. 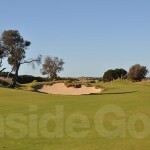 We met at Moorabbin Airport early on a drizzly, overcast morning and, as the planes were packed, we had brekky in the departure lounge and indulged in some loose speculation on the days ahead. 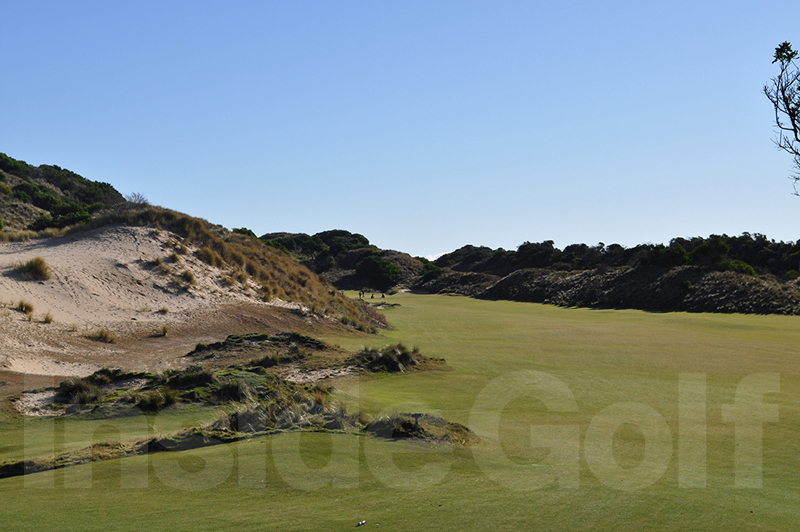 After take off, we enjoyed an aerial tour of Melbourne’s sandbelt courses to start the 80-minute flight. 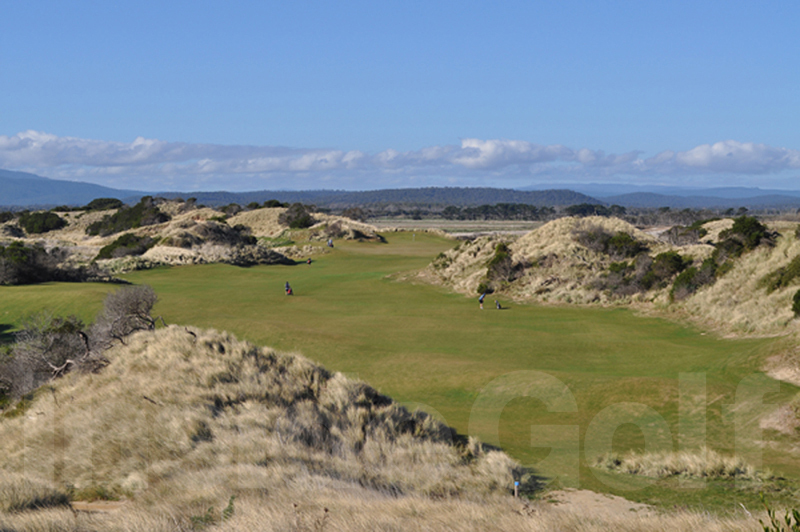 After an hour, the clouds below us cleared and the northern coast of Tasmania came into view. 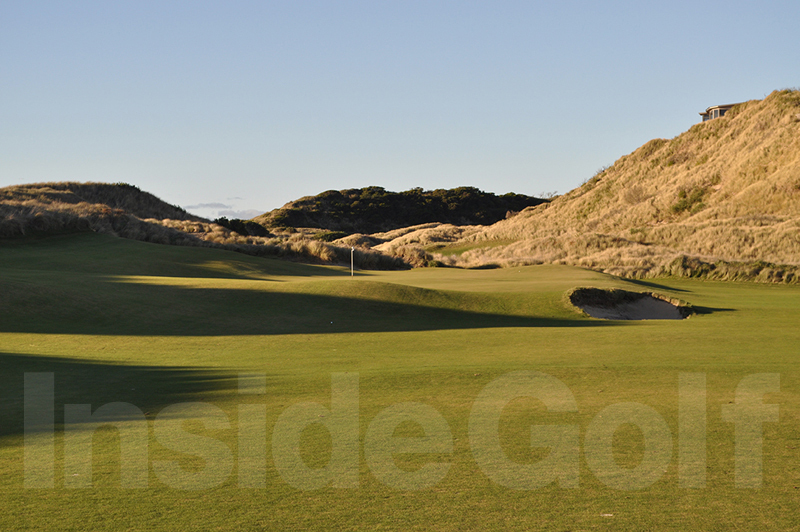 As we crossed the beach, the sun skimmed across the surface of Bass Strait and we made a long, arching turn that offered a breathtaking view of both golf courses. 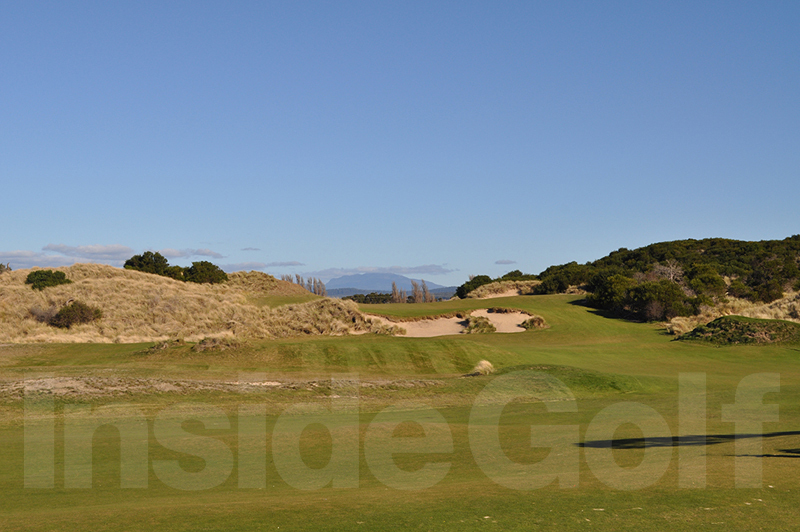 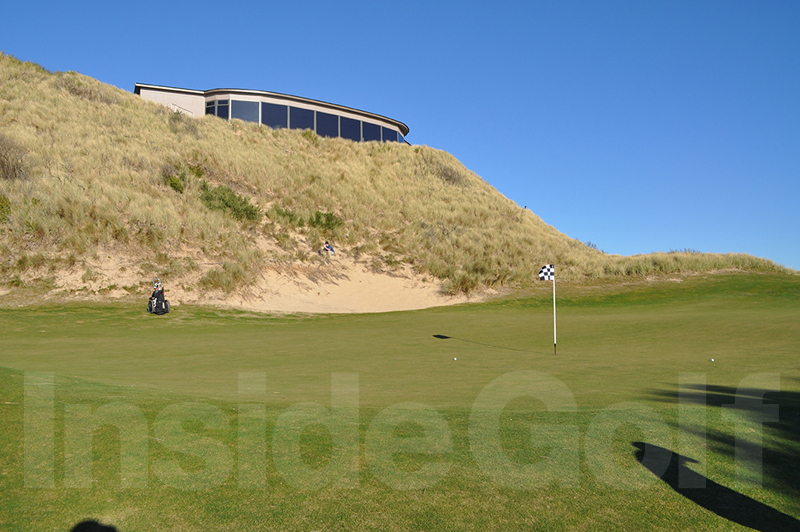 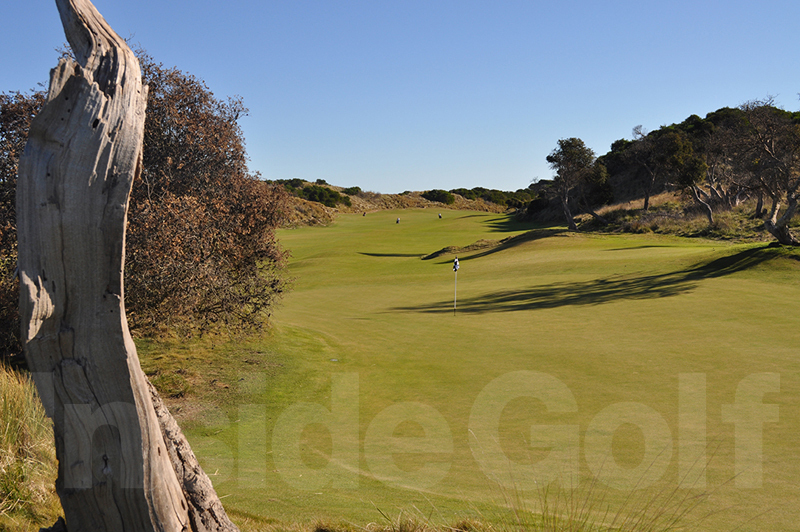 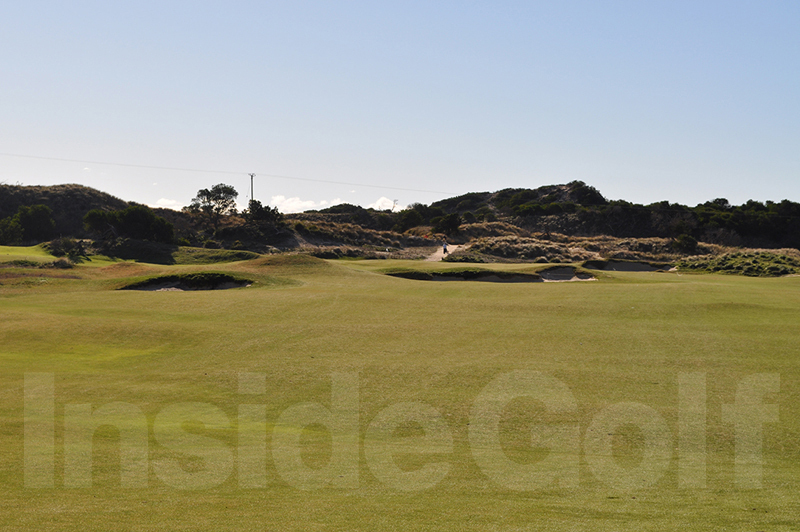 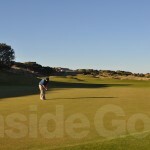 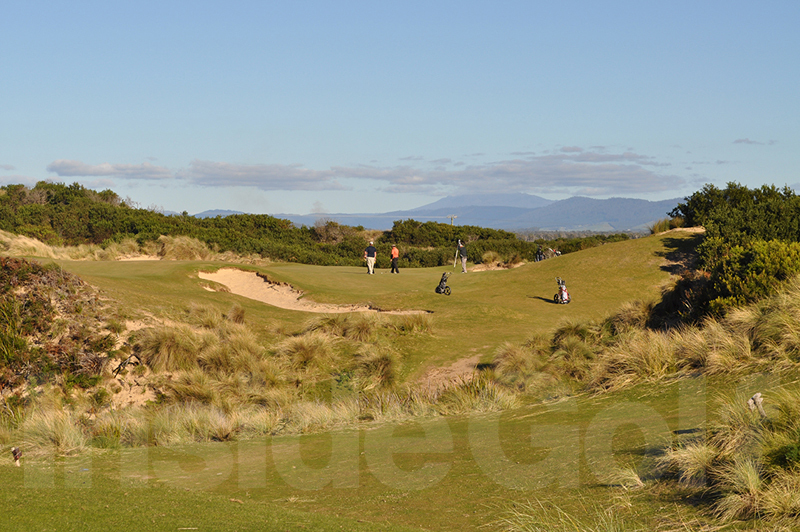 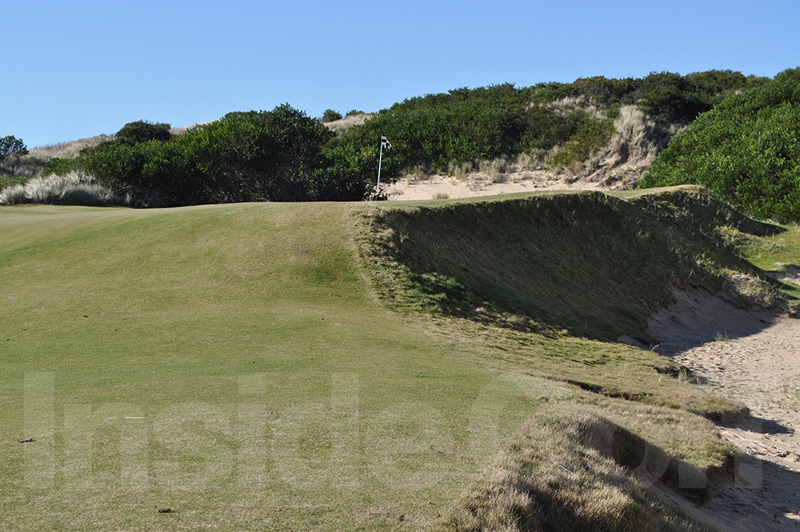 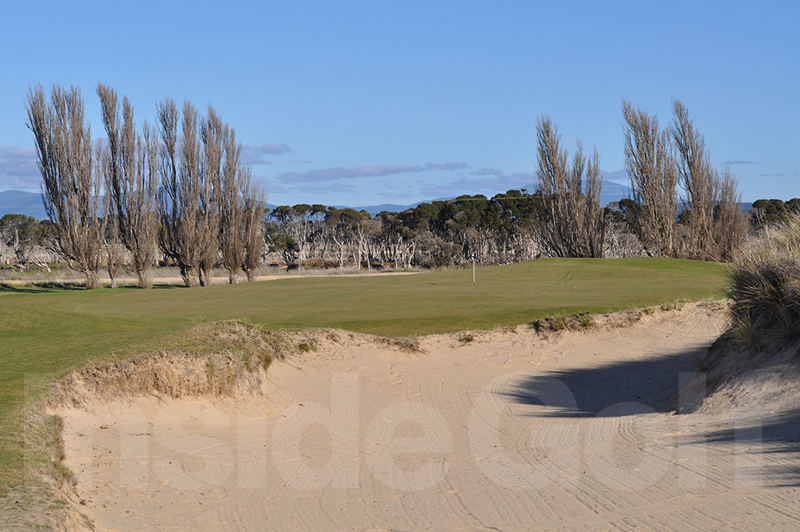 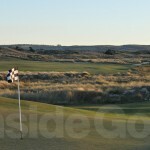 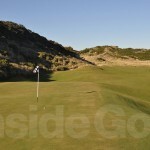 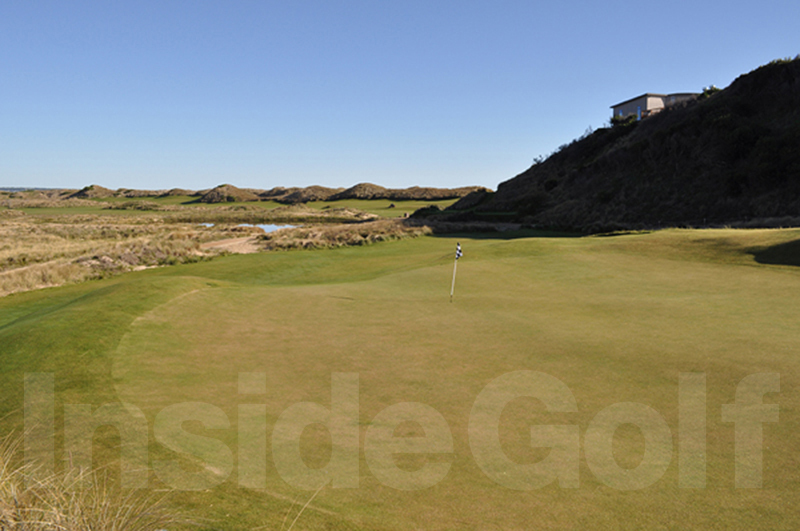 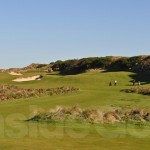 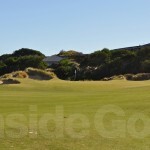 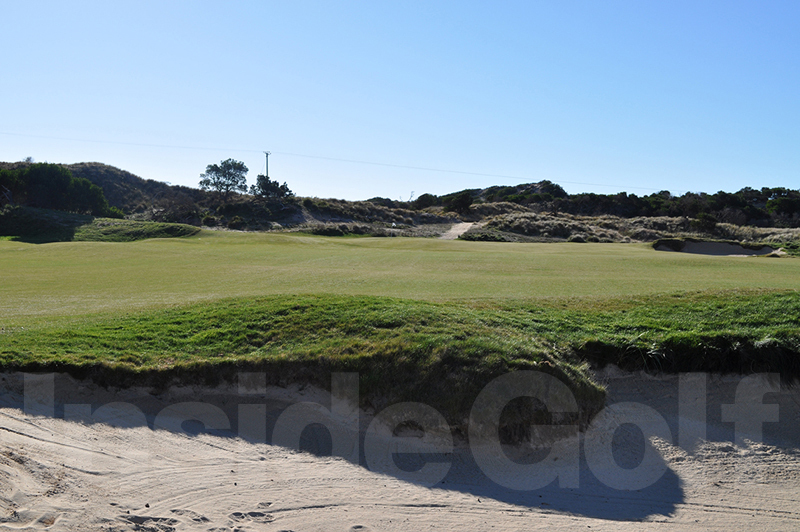 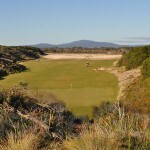 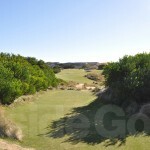 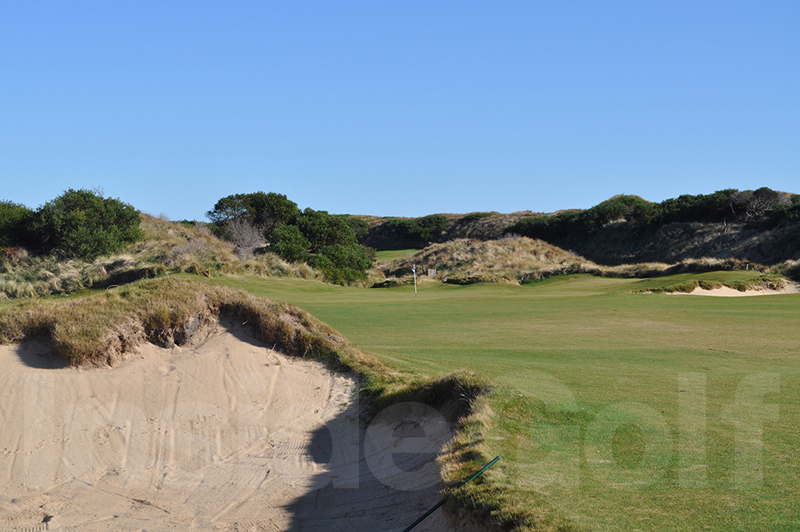 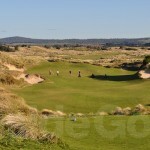 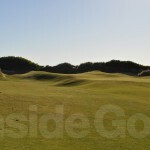 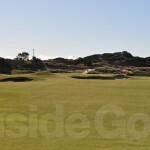 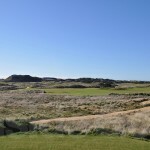 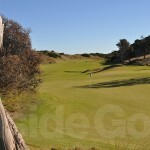 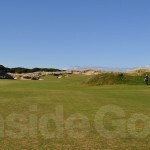 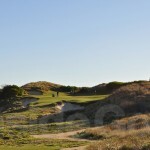 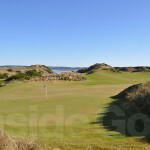 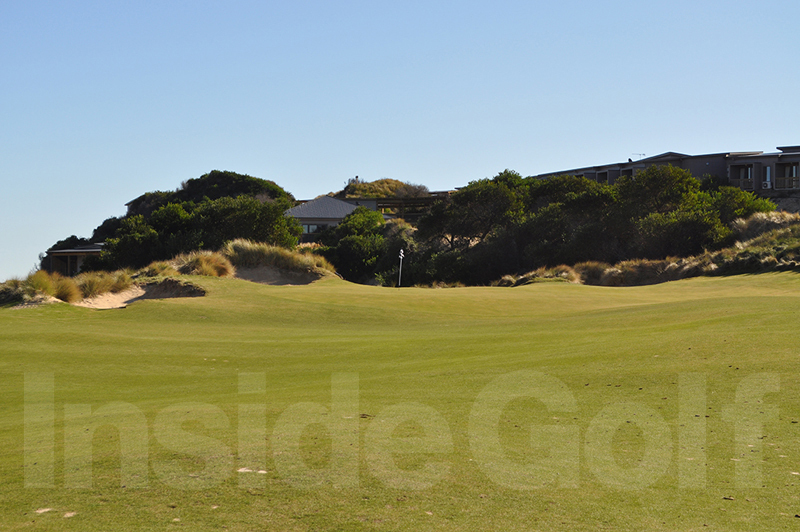 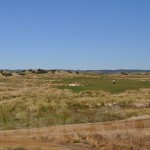 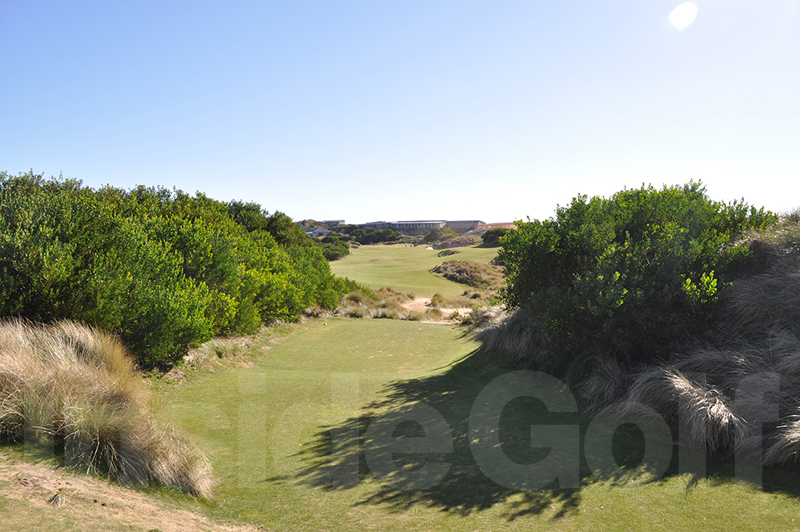 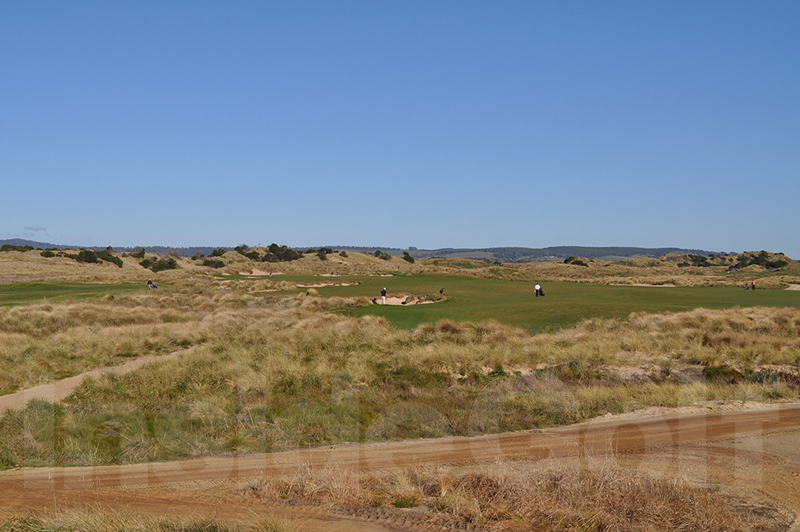 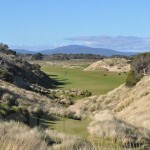 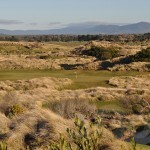 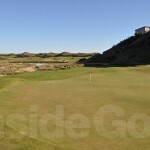 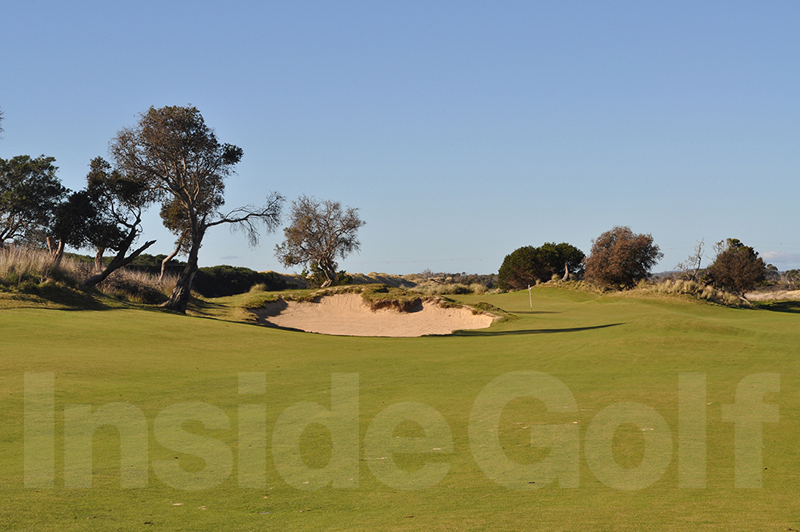 We landed next to the second fairway of Barnbougle Dunes on a crisp, sunny morning with hardly a breath of wind. 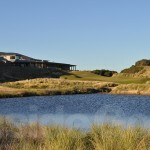 We were transferred to the clubhouse that sits on one side of a cosy amphitheatre of coastal dunes covered in Marram grass. 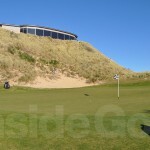 Facing the clubhouse is a row of cottages and in-between is a small carpark and the practice facilities that include a driving range, a pitching and chipping green and a large, sloping practice putting green that sits on the path to the first tee. 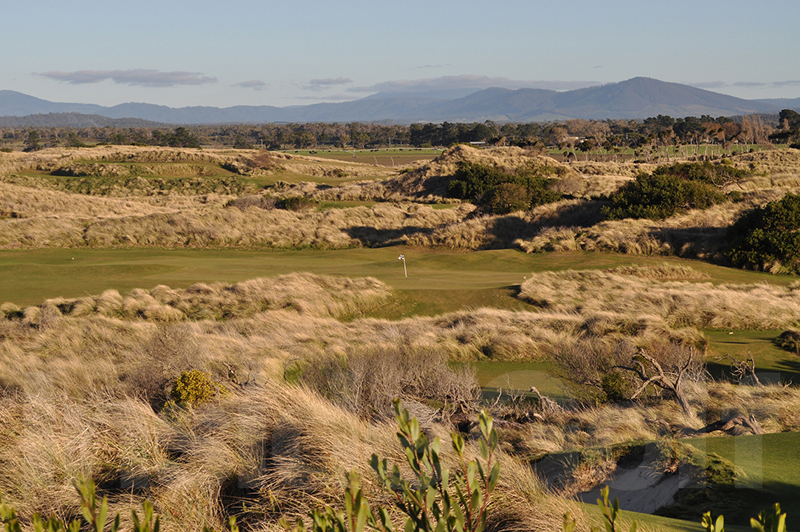 We had arrived in golfing heaven. 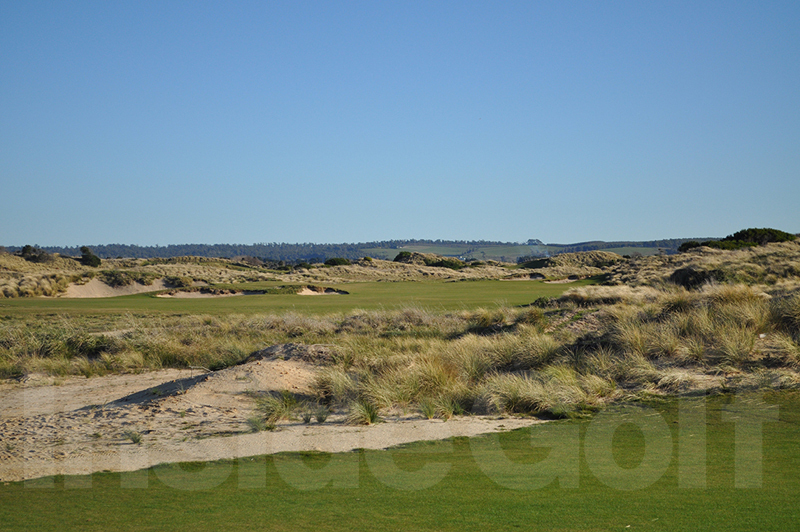 And so, late on Friday morning, we played Barnbougle Dunes and what an experience it was. 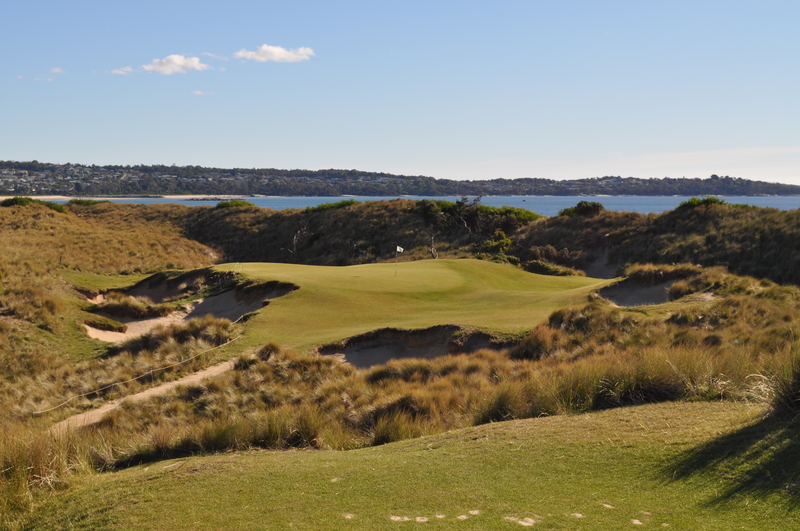 Superbly crafted golf holes unfurled across a landscape so perfectly suited to golf that one is suspended in an almost continual state of excitement and anticipation. 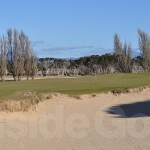 The opening sequence of holes was as captivating as any I have played. 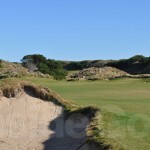 By the time we had negotiated the superb fourth with its cavernous fairway bunker, made the turn past Reg’s Hut for that famous walk along the beach to the fifth tee, I was so intoxicated with the golf I was in danger of losing my equilibrium. 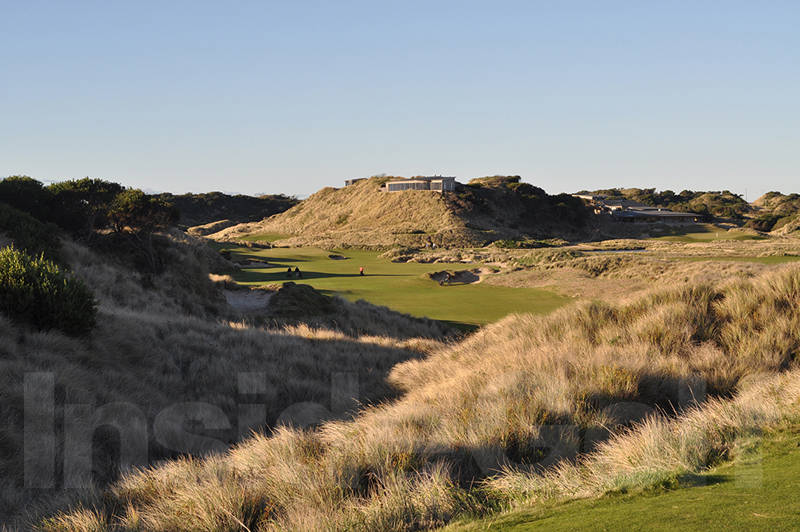 The highlights just kept coming. 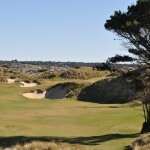 The tiny par three 7th known as Tom’s Little Devil is a wonderful golf hole. 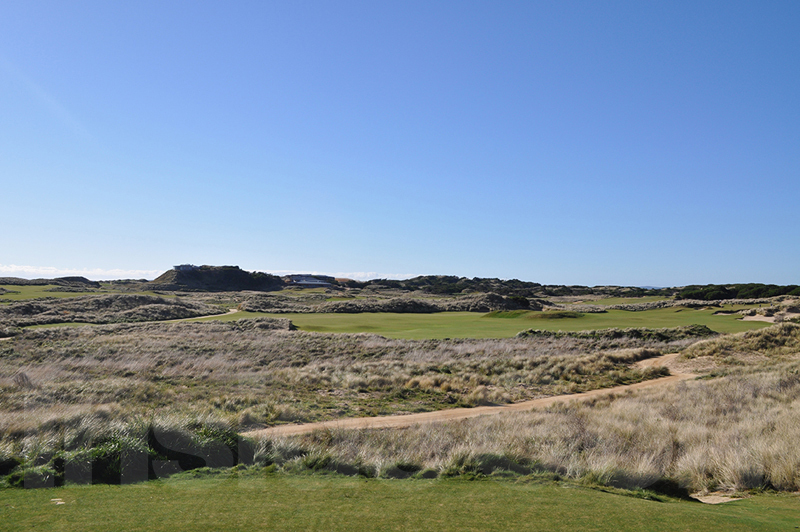 Then there is the split fairway on the 8th, the mighty finish at the ninth, the exquisite short 12th, the enormous 13th green and so it goes on. 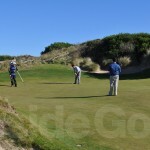 Time and again the course makes a searching inquiry into your decision making and ability to execute shots. 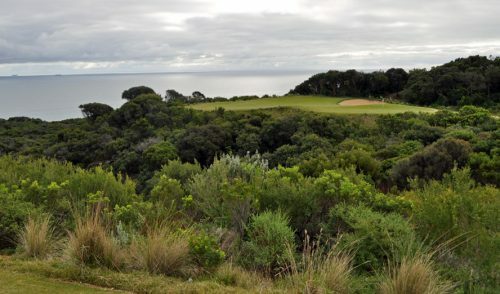 Some of my favourite moments were standing on tees in complete bewilderment as I considered the options and tried to decide how much to risk, which direction and what club to take. 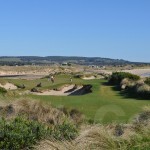 After golf we retired to dinner and drinks at the lovely Barnbougle restaurant, and set ourselves for tackling The Farm the next day. 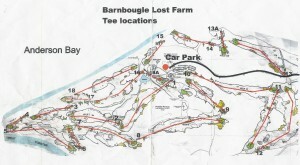 Whereas I had read and seen so much about The Barn, The Lost Farm was a mystery. 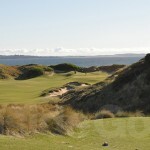 My only preconception was my staunch determination not to compare the two courses. 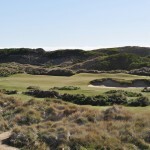 Like its sister, The Lost Farm commences on some level terrain to reach the coast, so the first couple of holes build the anticipation as the dunes loom ahead. 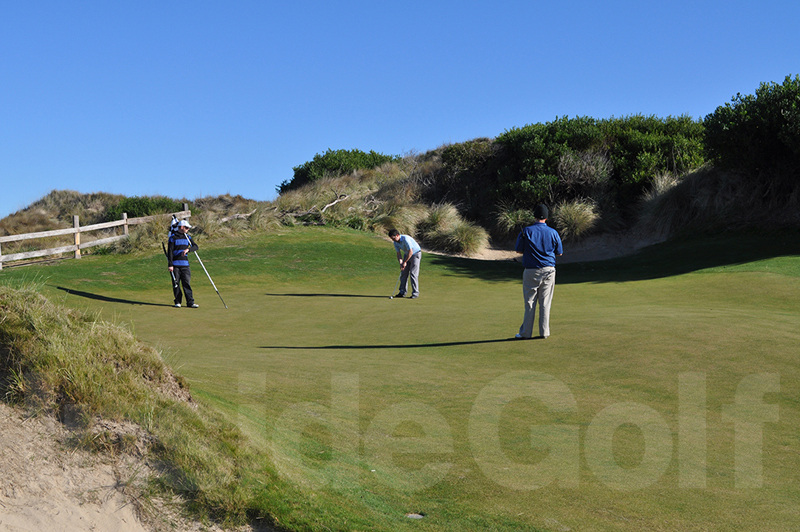 By the time we reached the 3rd, the assault commenced. 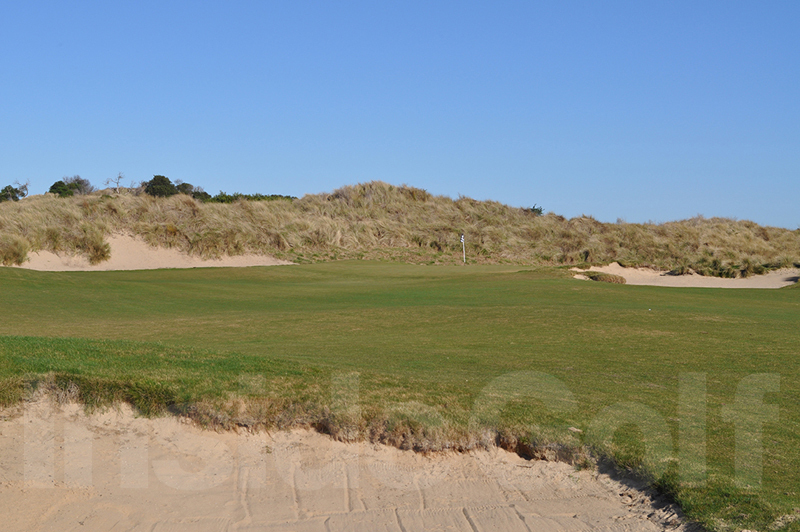 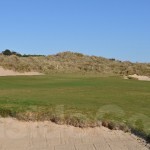 A short par-4 with a small, tiered green sheltered in a dune. 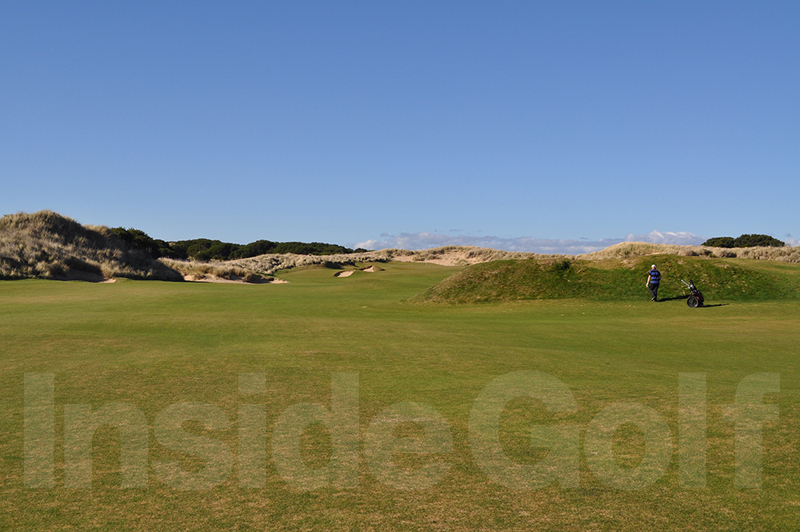 It appears innocuous from the tee, but the challenge is all at the green. 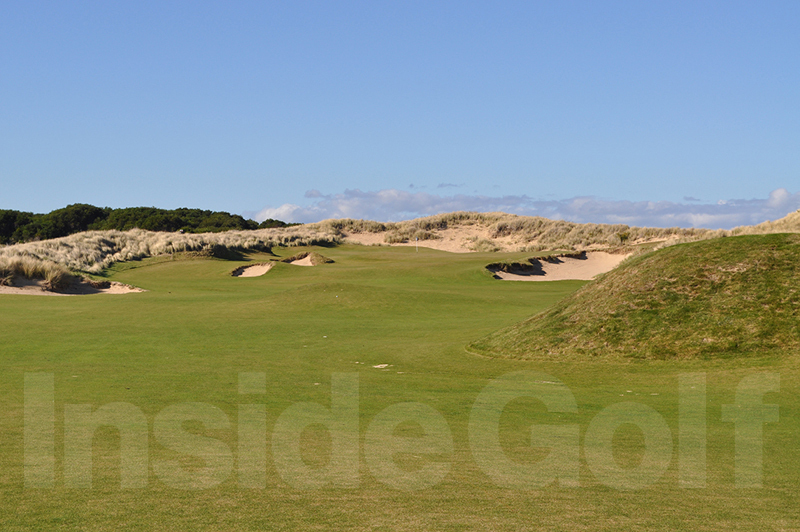 This hole was a fearsome introduction to a stretch of holes played in and through some remarkable dunes in the links land. 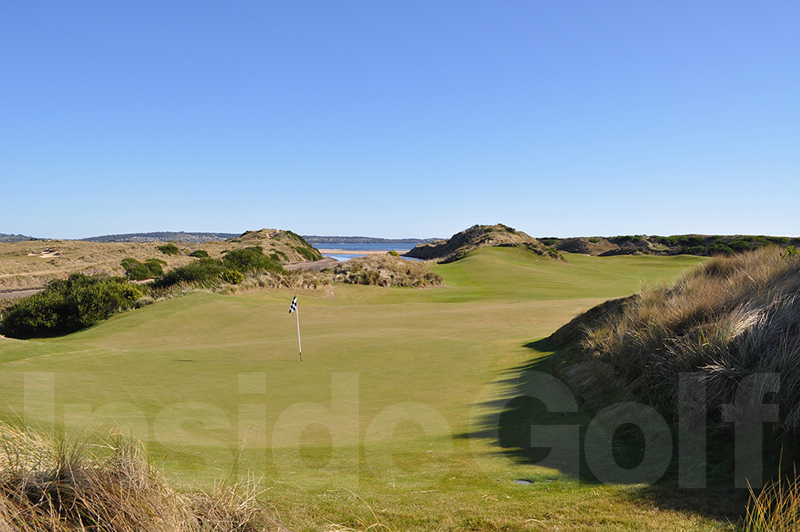 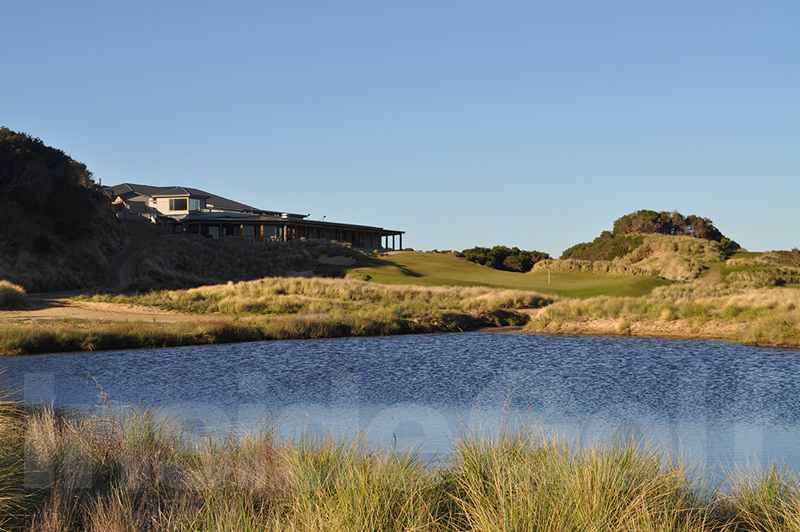 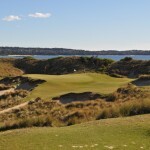 The 4th is a striking par-3 perched on top of the dunes overlooking a stretch of beach on Anderson Bay and looking back across the estuary towards Barnbougle Dunes. 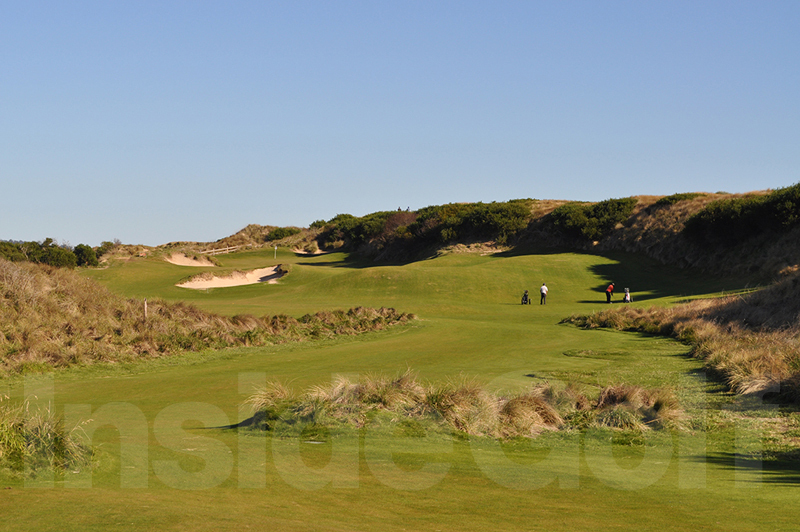 The 5th is one of the most intimidating holes on the course with a drive required to take on the corner of a huge dune on the right to have any chance of reaching the massively undulating green on this 400-metre par-4. 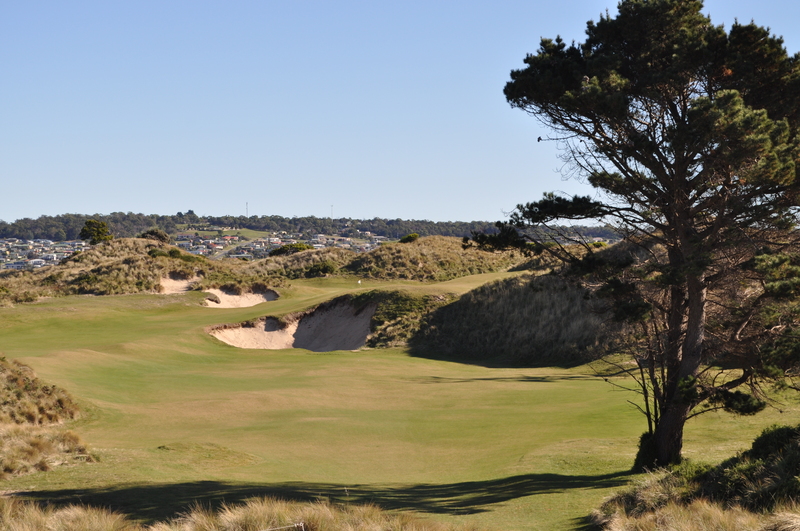 The long, uphill 16th is a magnificent par three and one of the real feature holes of the course. 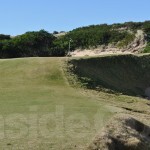 The two “betting holes” were a great feature, with our group enjoying the extra couple of short par-3s in the round of 20 holes. 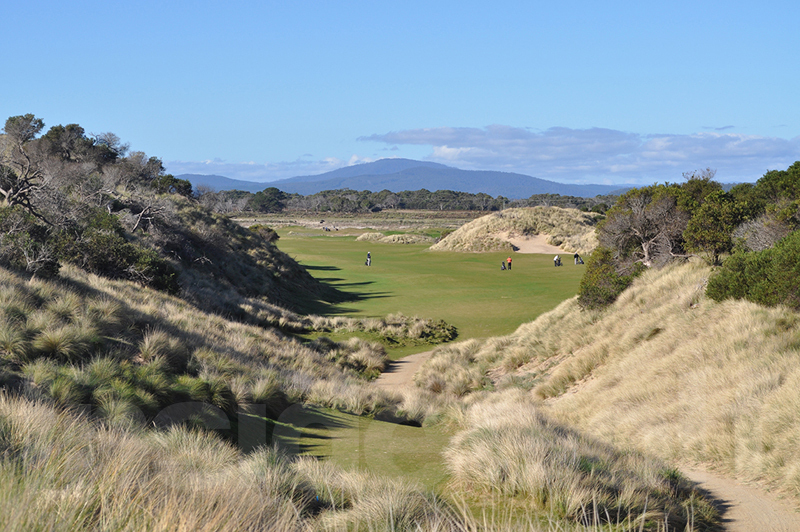 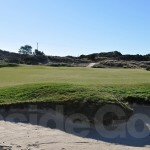 The differences between Bill Coore’s design of The Lost Farm and Tom Doak and Mike Clayton’s Barnbougle Dunes means golfers have the good fortune of two distinct golf courses with differing flavours in the same superb location. 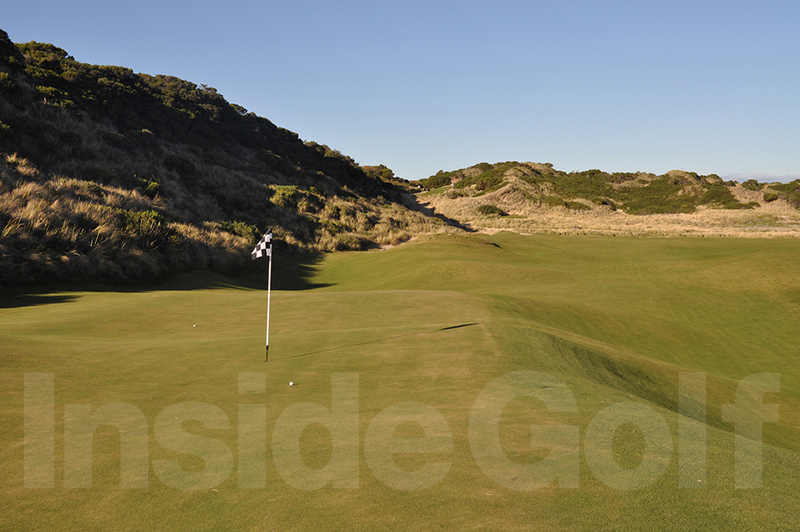 Many of the landing areas at The Lost Farm are enormous (some of the biggest I have ever seen) and a number of the greens have such severe undulations that approach shots need to be near perfect for some pin positions to have a chance to two-putt, let alone make birdies. 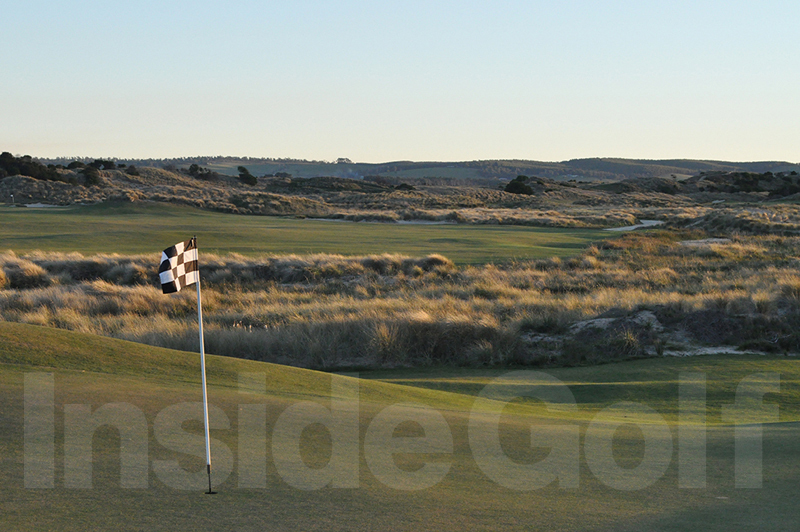 We played it on a still day with hardly a breath of wind and it was a stern test. Those less fortunate than us who encounter a stiff northerly blowing off Bass Strait will have a tough time playing to anywhere near their handicap. 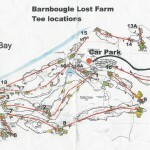 But that is not really the point of visiting these courses. 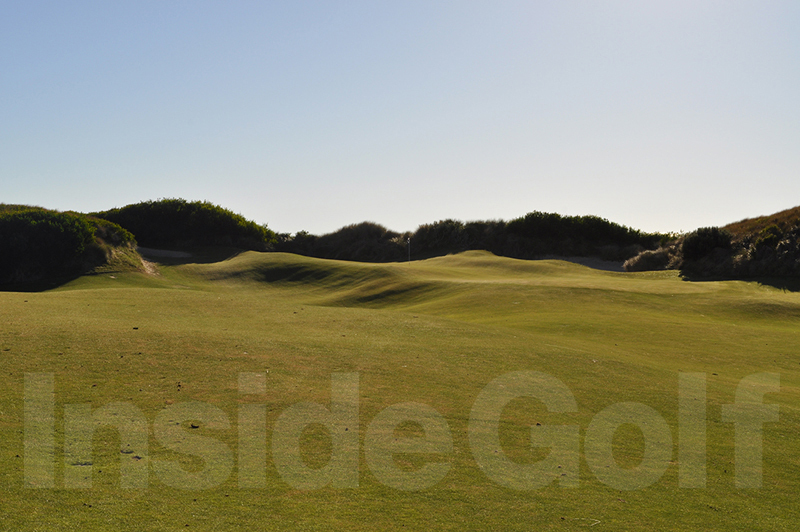 One is almost obliged to strip the game to its simplest principles, ignore the limitations of par and simply play each shot and each hole on its merits in the conditions and according to your ability. 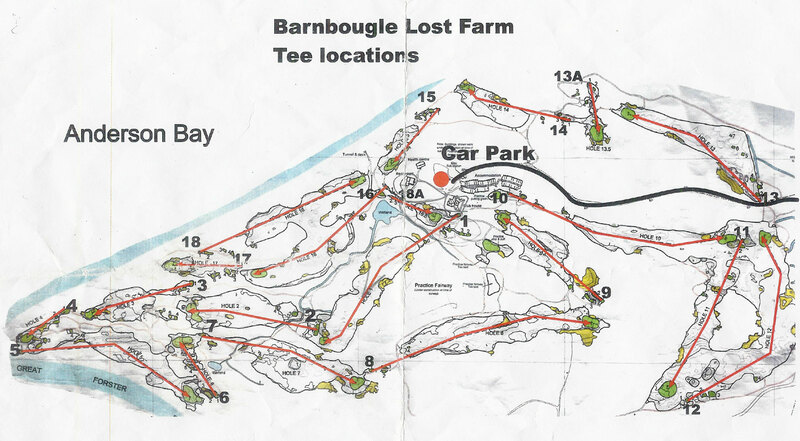 After a great Saturday night and a healthy exchange of opinions on the relative merits of the two courses, we teed off on Sunday morning to tackle The Barn once again. 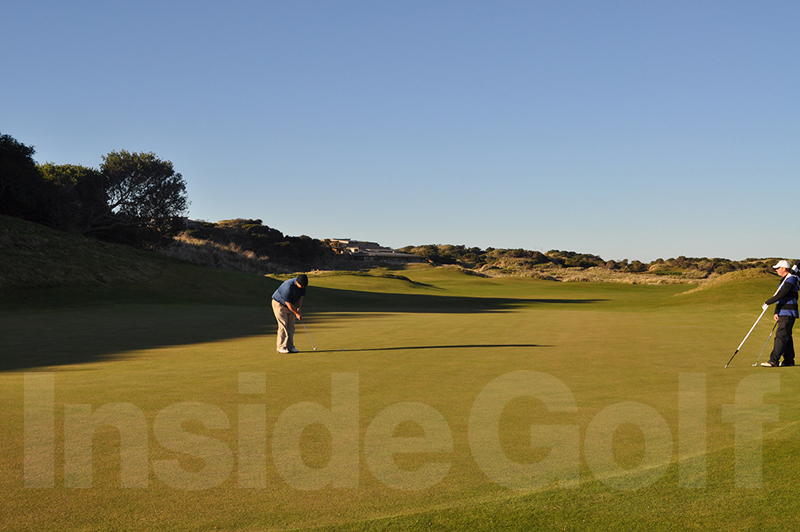 It was no less thrilling than the first day, although this correspondent ran out of legs on the closing holes. 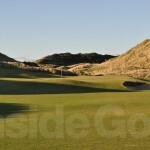 The dunes of Barnbougle claimed another victim as my game collapsed into the Marram grass! 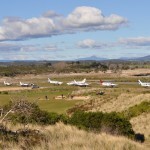 After golf we took some necessary refreshments in the clubhouse and then made our way to the airstrip for the flight home. 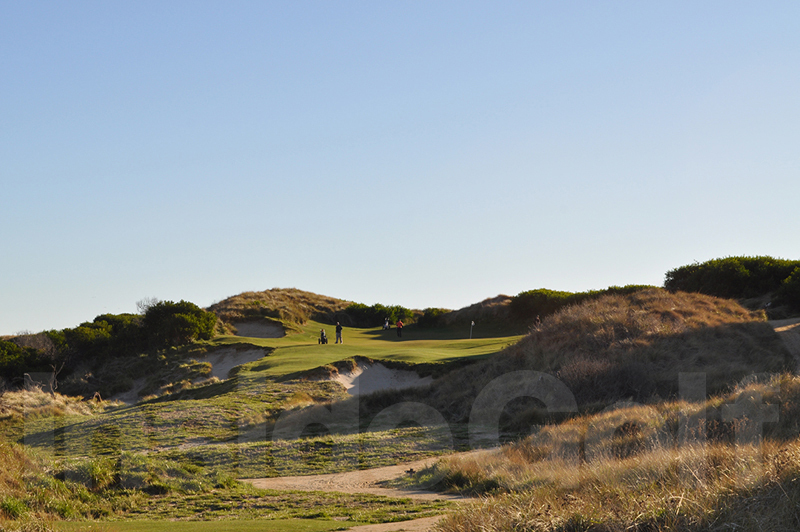 Taking off in the long shadows of the dunes cast by the afternoon sun was a superb finish and a great chance to reflect on the weekend and the golf. 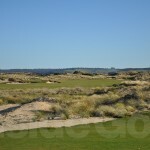 As it happened, my determination before the trip not to compare the two courses was an impossible dream. 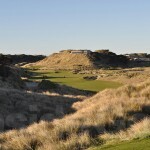 The road to hell is paved with good intentions and despite my desire not to compare them, I could not hold back the tide of opinion. 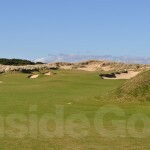 In the end, I indulged myself with a rather capricious position on the relative merits of the two courses and settled quite firmly on a preferred layout. 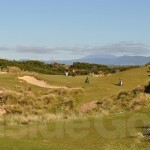 But I am not going to reveal that here. 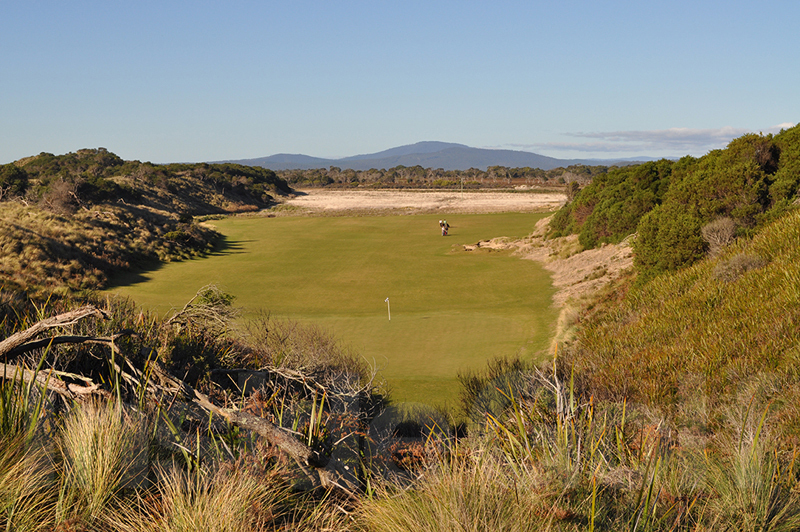 It has rightfully been left behind somewhere over Bass Strait. 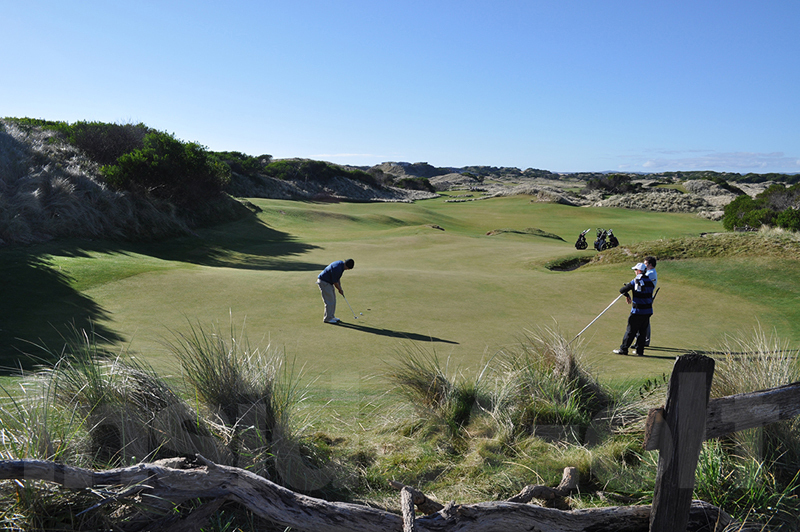 If you want an opinion on which is the better golf course, you will need to go there and decide for yourself. 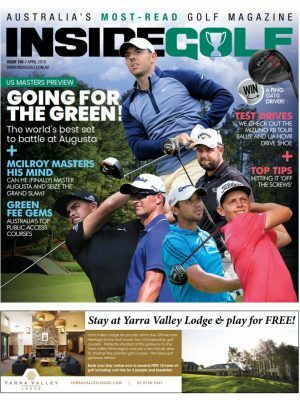 As for me, I am not the sharpest wedge in the bag, but I am wise enough not to trust my own hasty opinions and unreliable first impressions. 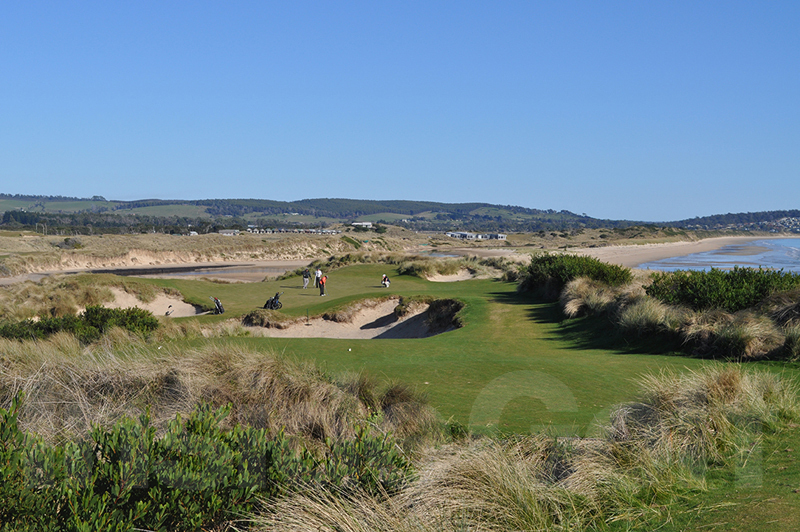 I am already planning my next trip so I can play both courses a second time and not compare them all over again. 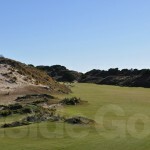 One Response to "Barnbougle Dunes and Lost Farm"